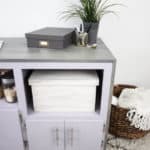 A few months ago, I share my Custom Craft Space on the blog. 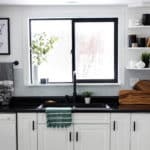 I’m still SO proud of this wall-turned-craft-sanctuary that my husband helped me design :) As with any project, there were still a few looming projects that I wanted to complete one day. 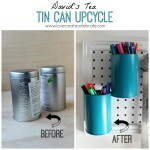 An up cycled desk chair, craft supply labels, and a few DIY organizational elements. 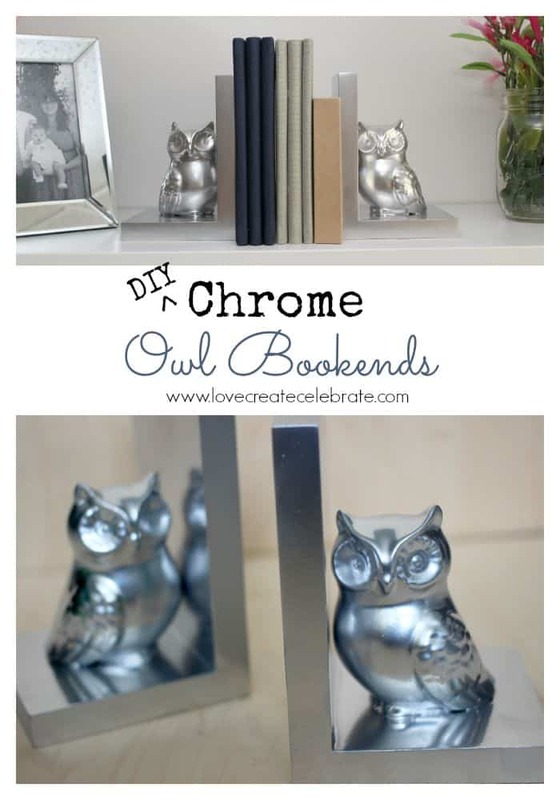 That’s where these beautiful DIY Chrome Owl Bookends come in! Just one more piece to help me personalize my workspace. 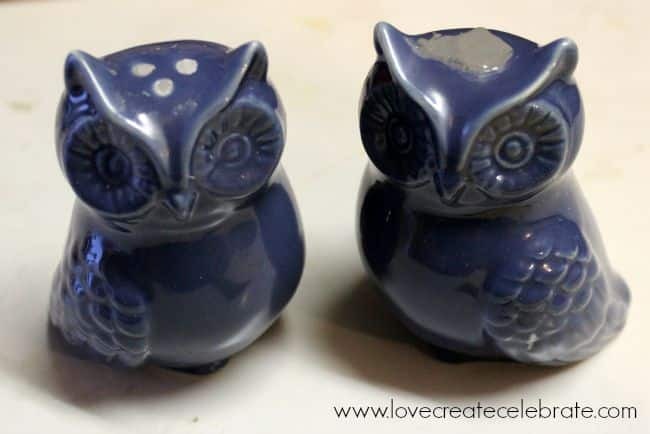 I was first inspired when I saw these adorable owl salt and pepper shakers on sale at Target for only $2! Next, I filled the salt and pepper holes with putty. Then after the putty dried, I sanded it down so that there wouldn’t be a bump on the top of the owl’s head. 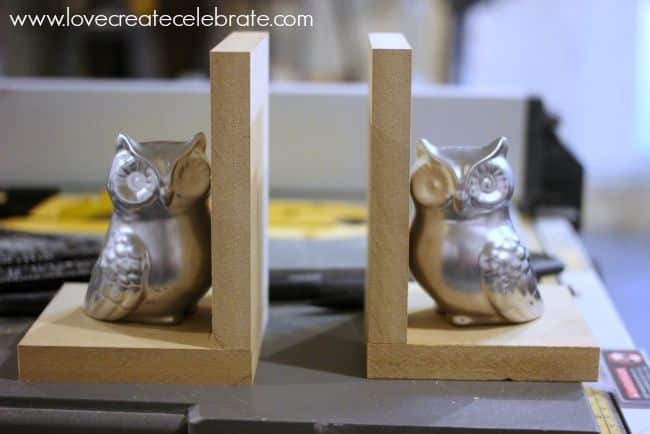 The owl on the left [above] is sanded and then one on the right is not. 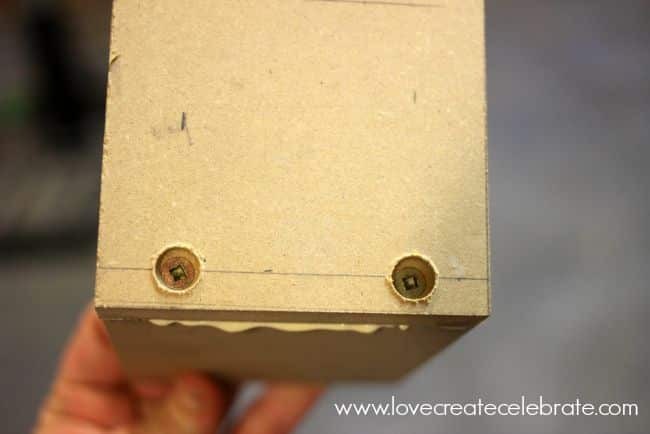 Next, I cut some MDF to fit around the owls. 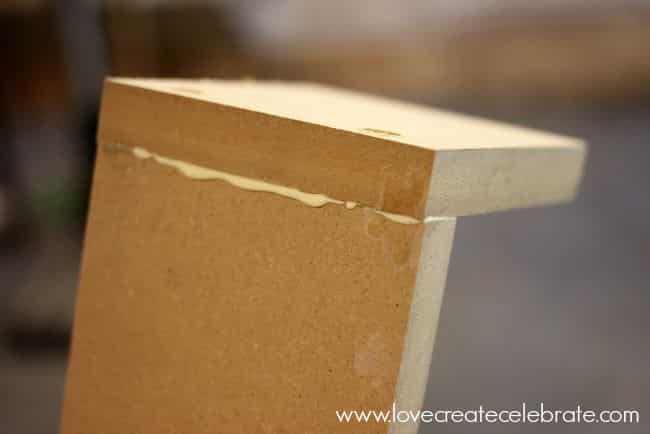 I used MDF instead of 2×4″s because MDF is more likely to provide a smooth, seamless finish after being sanded and painted. , and then screwed the bottom, horizontal piece into the vertical piece. I did this so that the holes and screws would be hidden. existed?! I didn’t! But I LOVE the finish! Now they are happily sitting at their home on my bookshelf in my Custom Craft Space. What do you think? Are you as big of a fan of owls as I am? Oh how cute. My senior mom LOVES owls. Thanks for a fun visit. adorable!!!! I love the color of the tiny owls! I know!! I love any metallic decorations :) So glad you liked them! These are awesome! They look so cute, and super expensive! I had no idea they even made chrome spray paint. 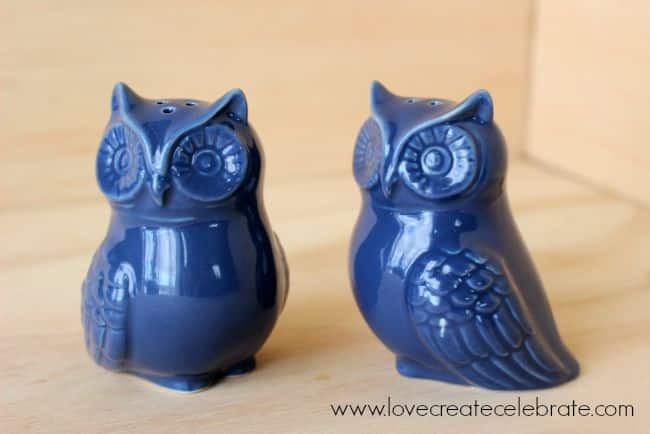 Now I have to go get a can and find some owl salt and pepper shakers :) Love how these turned out! Thank you so much :) Those cute owl shakers had my attention right away! 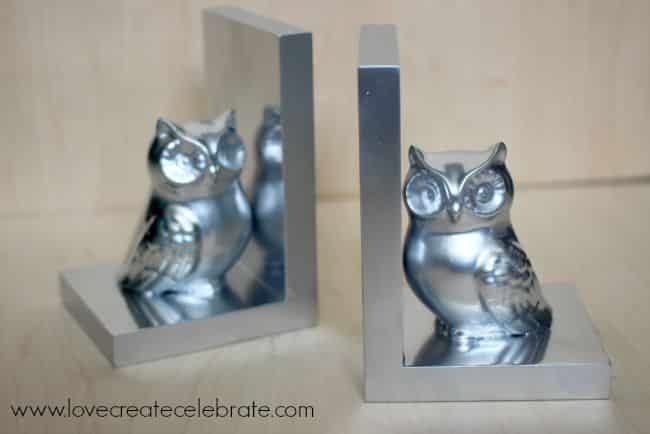 I love anything to do with owls and I really love these cute bookends!! I absolutely love this! 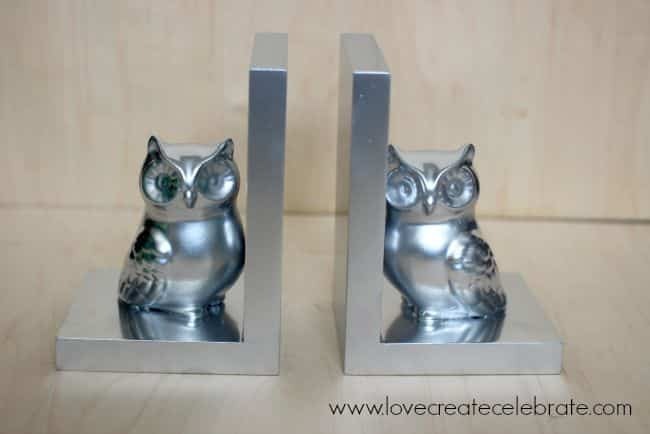 I’ve wanted those small owls for my mantle, but I thought someone would notice they are salt & pepper shakers. 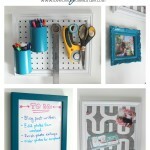 It’s brilliant to fill the holes and spray paint them! These are so cute! I was trying to figure out where you got the cute owl figurines and then I saw they were salt and pepper shakers. Great idea!! You’re so welcome! Love seeing all the creativity at your party each week! I can’t believe that those used to be a salt and pepper shaker! What a creative idea! 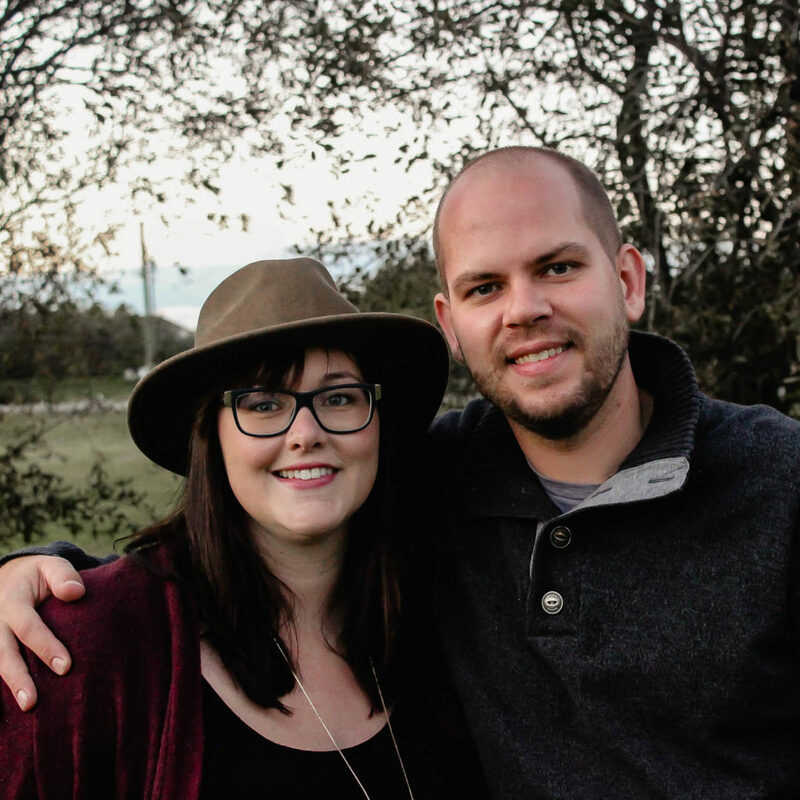 Thanks so much for linking up at our last weeks link party! 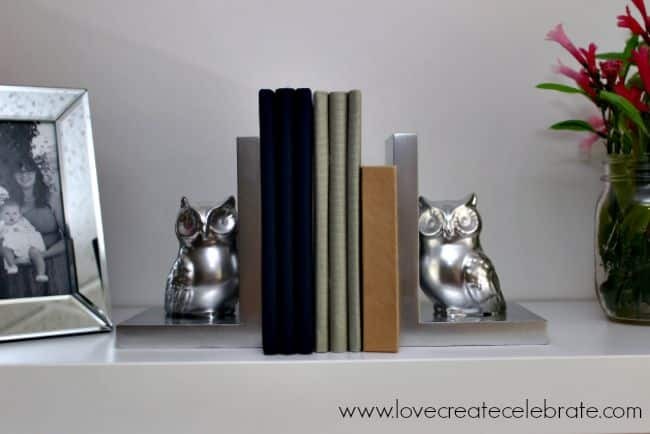 We chose your super cute bookends to be one of our features this Thursday! And of coarse we will be pinning to our group party page on Pinterest! Hope to see you again this week! Thanks again! Thank you SO much!! I’m so glad you like the project!! 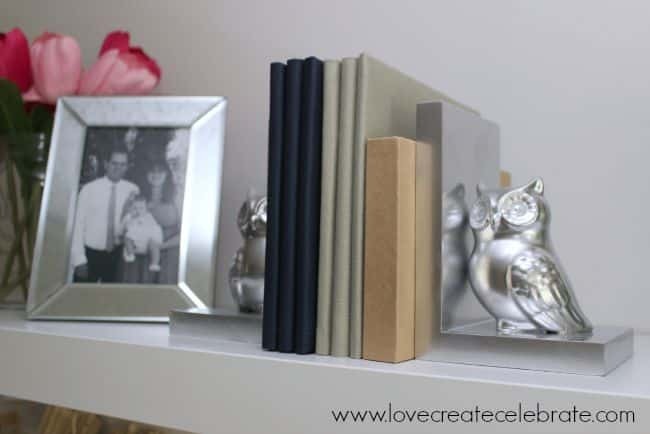 This is such a great idea- I’ve been searching high and low for bookends that I like and have found none (at least not in my price range). I may have to try this! I stopped by from Hit Me With Your Best Shot! What a brilliant idea! Thanks for sharing with #momsterslink. Thank you so much :) Glad you were able to stop by here! 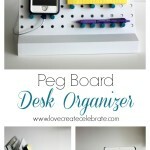 Pingback: Creativity Unleashed Link Party & Color Cord Giveaway!! 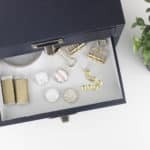 Pingback: Creativity Unleashed Week #87 - and a Giveaway from Color Cord! You’re so sweet!! Thank you for the compliments. 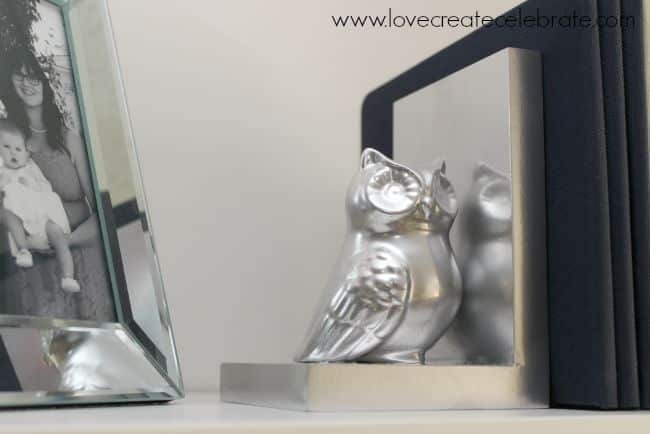 I loved how the owls mirrored each other too – they were perfect for this project! Hi Lindi! Just wanted to let you know that you were my pick for a feature this week at Merry Monday! 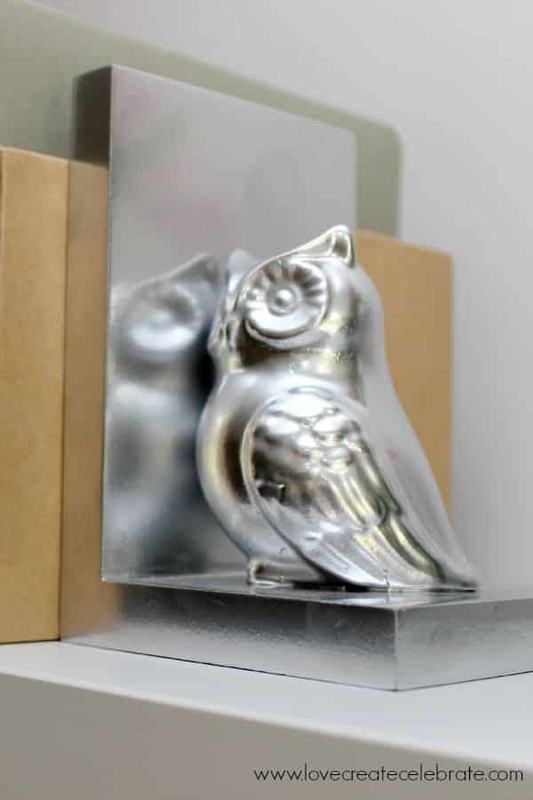 These owls are just too cute and creative. Have a great week! Thanks Meredith!! I saw it there :) I tried to comment on your blog too, but it didn’t work from my iPad. Thank you for letting me know though!